For a Jungle safari to be the best in India, the climatic and geographic conditions of the region are significant deciding factor. India has several famous wildlife national parks or jungle safaris you must visit and North India is home to some of the best ones. The favorable climatic condition and geographic location of North India makes it the shelter of various species of wild animals. Here are the best wildlife safaris in North India you must visit. Located in Leh, Hemis National Park is a wildlife Safari with no proper motorable road. The best option id trekking. However, you can visit handful of places by Jeep Safari which also closes after November due to excessive snowfall. So, if you want to have a pleasant and adventurous visit to the national park, plan a tour between May and September. You can enjoy the Hemis Festival in the months of June and July. Hemis is a perfect spot for birdwatchers as one can find a variety of birds in the vicinity of the jungle. Not only this, there are almost fifteen endangered species of flora having high medicinal value. Most Spotted Animals: Leopard Cat, Elephant, Jungle Cat, Sambar Deer, Tiger, Hog Deer, Himalayan Black Bear, Barking Deer, Indian Pangolin, Nightjar, Monkey, Sloth and more. Ranked among the most favorite Indian Jungle Safari tours, Jim Corbett National Park attracts a large mass of adventurers, photographers and wildlife enthusiasts each year. If you are someone interested to spot tigers in the deep forests, plan your tour between the months of March and May. The national park has rich fauna and is also quite popular for its vegetation. When on a tour to Jim Corbett, you will find organized workshops, nature guides, eco-tourism activities and elephant rides in the park. Most Spotted Animals: Himalayan Brown Bear, Jungle Cat, Kashmir Stag, Hill Fox, Leopard Cat, Long-tailed Marmot, Jackal Himalayan Black Bear and more. Nearby Attractions: Marsar Lake, Birdwatching, etc. If you would like to spot the Himalayan Bears, plan your trip in September as the chances are high. During winter season, most of the upper areas of the park remain inaccessible. So make sure you skip your winter plans to Dachigam. There are almost 145 bird species and several endangered animals in the park. Talking about the wildlife safaris in the North, Dachigam has the most beautiful Himalayan flora and fauna. This can be one of your best forest tours in India, plan a trip soon. Dudhwa National Park is famous for the unique species of Barasingha (the 12 antler deer) and is situated in the state of Uttar Pradesh. You can easily spot several birds in the area, almost 350 different species including beautiful migratory birds in winters. If you are a birdwatcher, get up early in the morning to watch the group of beautiful and colorful birds in the park’s vicinity. One of the best wildlife safaris in India is the Great Himalayan National Park situated in the Kullu area of Himachal Pradesh. 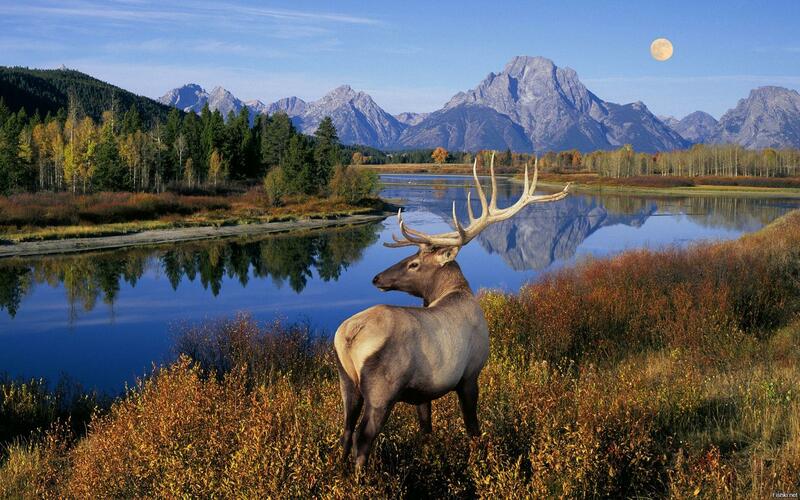 The famous national park of India is home to around 350 species of wild animals. The only way to explore the park is through trekking along the span of 45 kilometers to reach the highest altitude areas of the park. This way you can spot almost all the vital species in the region. The most suitable time to visit the park is in autumn because this is when the animals descend to the areas of lower altitudes in order to escape from the cold. Ranthambore National Park, the wildlife safari in India most visited by tourist from across the world, is located in Sawai Madhopur, Rajasthan. The national park of Rajasthan is best-known for the wild cats. Not only do people spot the different species of animals in the national park but also the 10th Century marvel, Ranthambore Fort, located inside the park. There is a large lake within the boundaries of the park serving as the main place to spot the wild animals.